Not only does baking biscuits result in a delicious bounty of snack time treats, there is all kinds of fun to be had when it comes to making dough, rolling it out, cutting shapes and decorating too! 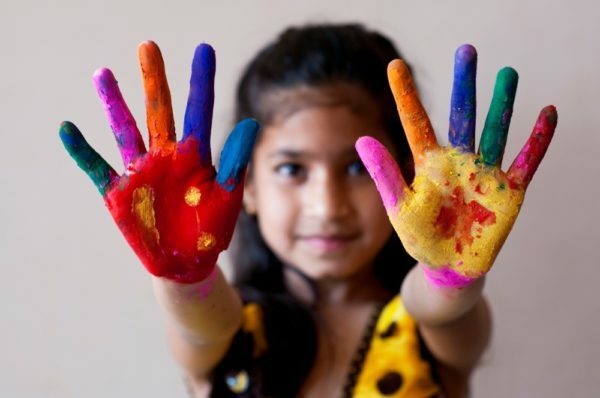 Yes, squirts of paint plus paper plus little fingers equals mess, but it also provides opportunities for your child to express themselves and explore colours and shapes. Have some clean up gear on hand for speedy clean-up, post-masterpiece creation! Torn or cut paper, a sheet of coloured card, some glue and a lot of imagination is all you need for this sticky, creative fun. You could draw shapes for your child to use as a guide, or let them go free-style and marvel at their artistic skill. Send that collage straight to the fridge door! 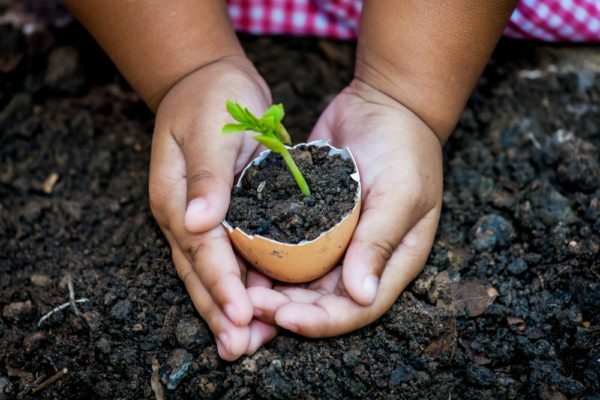 What could be more messy and productive fun than digging in the garden, especially if you throw in some kid-sized garden tools – and maybe some kid-friendly, lunch-worthy plants! Cherry tomatoes? Peas?! Blow up a balloon, tear up some newspaper, whip up some paste and you are ready to paper mâché. You could help your child add some extra features to make your project come to life: cat ears, pig nose, puppy tail, perhaps? Let it dry overnight, pop the balloon and paint! Making potions in the garden is one of childhood’s great joys. You only need some water, sand, dirt, leaves, sticks and anything else that seems like a good idea to you and your child. Mix your ‘potions’ in plastic containers and make some magic spells together. Then tip them on your plants to give them a fertilising boost! A footpath, some chalk and a little bit of creativity combine in this artistic and decorative activity. Not only is it adorably decorative, you can just wash it off when you want a fresh canvas! 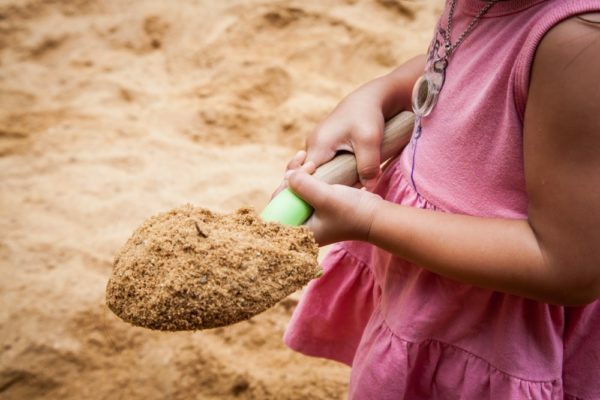 The sandpit is the perfect place to engage motor skills, imagination and some sandy exploration. Provide lots of playthings to tip sand in and out of, and be on standby for some creative conversation and grainy adventures. A plastic tray and a few squirts of shaving cream provide hours of smooshy, messy, hands-on fun and will delight your preschooler. 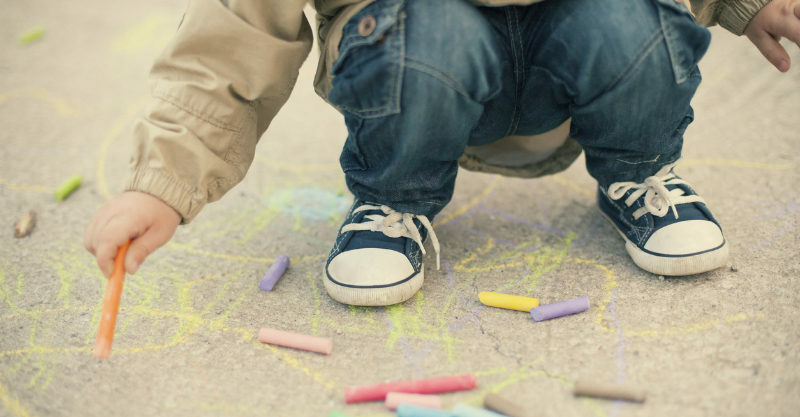 Encourage them to draw, build shapes and create patterns as they play. Remember the joyful, investigative fun your child will have as they play far outweighs the effort required to do a speedy clean-up. You’re making memories, not just making a mess!